FleurDeForce is one Youtuber I know I can trust. When she announced that she was releasing her own range of products, well, I knew I had to give them a go. I've started to test the products out already, but I'll save the in depth review for another day. Here's everything I bought! I picked up two sets of false lashes from her collaboration with Eylure. The first being the Fleur Loves (£5.25) and the second being the Couture Fleur Individual Lashes (£6.95). I've never actually tried falsies before so I'm quite excited to give them a go. From her own makeup line, I knew I wanted to try one of the eyeshadow palettes, so I got Cosmic Bronze (£7.99). You can never have too many neutral palettes and I like how this one has a couple of matte shades. As you know, I love matte eyeshadows but they're still hard to come by at this price point. I also bought two lip glosses (£6.99 each), Written in the Stars, a mauvey natural pink and Seeing Stars, which is a pinky coral. Both are super pigmented and I'm looking forward to testing the lasting power. I'm really excited about this range of products and can't wait to share my thoughts soon! 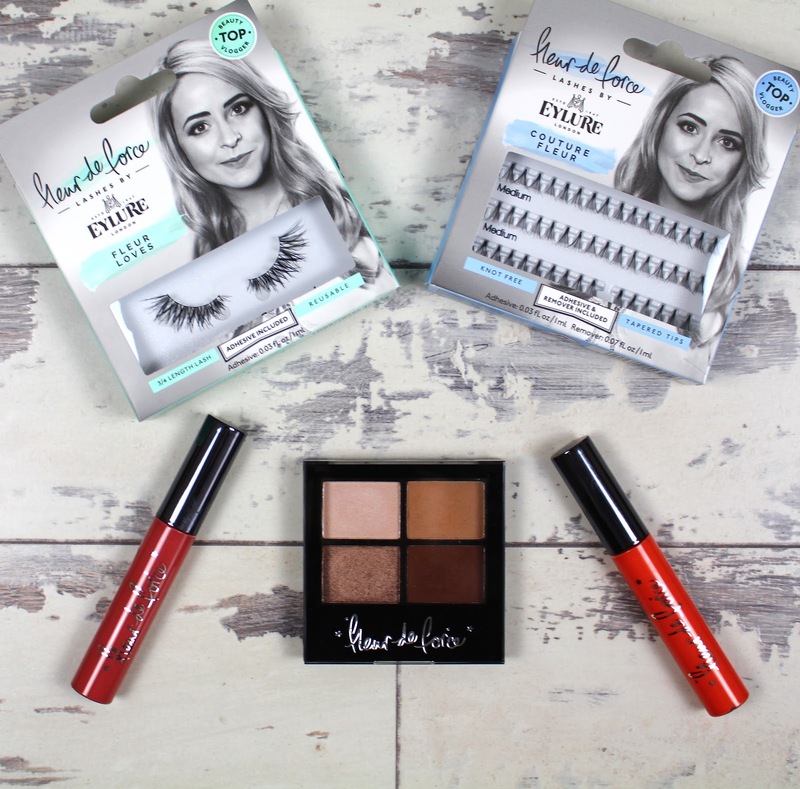 Have you tried anything from Fleur's range?